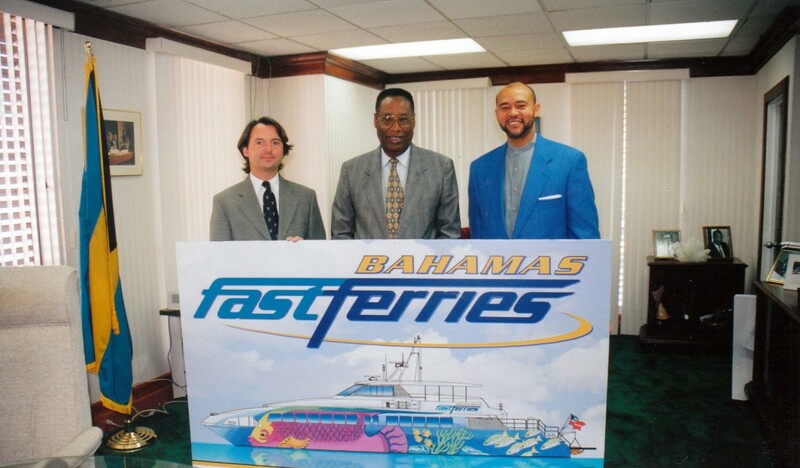 Since its inception in 1999, Bahamas Ferries has revolutionized inter-island transportation in The Bahamas with its state-of-the-art vessels that connect the major Family Islands of Abaco, Andros, Eleuthera, Exuma, Grand Bahama and Long Island. And today, we continue to positively impact our Family Islands by providing essential life services that supports island economies and encourages economic growth. It is our firm belief that the sustainable development and prosperity of the Family Islands can be achieved through a modern reliable marine transportation. We are committed to this belief, and have made significant investment with our medium-speed vessels, infrastructure, and highly trained and experienced crew, who provide consistent excellent service to our valuable customers. Over the years, we have expanded our fleet and destinations. 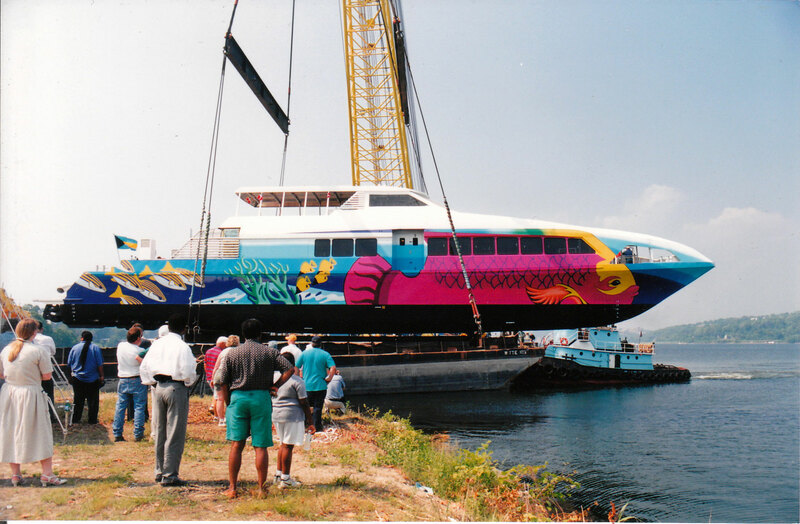 In 1999, we offered passenger ferry services into Gene’s Bay, Harbour Island and Governor’s Harbour with Bo Hengy, thus becoming the main transportation provider and a staple in those communities. Between 2000 – 2003, we introduced our passenger roll-on/roll off (ro-pax) vessels, Sealink and Seawind. The addition of Sealink and Seawind allowed us to expand our destinations with year-round, on-time and dependable ferry services into Sandy Point, Fresh Creek, Morgan’s Bluff, Current, Governor’s Harbour, George Town and Simms. In 2008, the beloved Bo Hengy was retired and replaced with Bo Hengy II, which services Spanish Wells, Harbour Island and Governor’s Harbour. In 2012, East Wind joined our fleet and provides bi-weekly ferry service into Freeport and South Abaco. Bahamas Ferries provides a unique, comfortable and safe waterborne experience for Bahamians and tourists wanting an alternative way to travel. Therefore, we adhere to strict certification standards of The Bahamas Maritime Authority and the International Maritime Organization, the highest international standard for safety. We started with one vessel, three destinations and 30 employees. Today, we have four vessels, ten destinations and over 100 employees. Bahamas Ferries has transformed into a multi-dimensional company providing freight, logistics and passenger services, all backed by our strong customer service team. Upon his birth on 15 May 1856, his parents, Frederick and Matilda Sawyer, named him Henry; but his fellow Brilanders rarely called him Henry. They called him ‘Bo Hengy’ instead, which was how they pronounced Brother Henry. It became his nickname ever since. Bo Hengy was a giant of a man, although in physical stature, he stood less than 5 feet 6 inches tall. During his lifetime, he impacted his community of Dunmore Town, Harbour Island in ways that are felt even today. He was a community leader, a church leader, a farmer, a craftsman, a seaman, and an inveterate boat builder. Bo Hengy was a well-respected seaman. He was familiar with almost every nook, cranny, reef and rock to be found throughout the length and breadth of The Bahamas. He could traverse the treacherous Devil’s Backbone Reef between Harbour Island and Eleuthera virtually blindfolded. During his lifetime, Bo Hengy built many smack boats. Smack boats are still used extensively by Bahamian fishermen today. They are distinguished by the v-shaped squat hull, which houses a well on the inside where fish are allowed to swim freely after they are caught, only to be sold fresh to customers upon arrival at the dock. Bo Hengy also built freight boats like the “Lola B,” which transported freight from island to island. He even extended the range of his skills to build the “Dorothy S,” a 35 ft. wooden yacht, one of the first of its kind to be built in The Bahamas. Bo Hengy still found time for other activities close to his heart. How he did so, it is hard to tell. He actively ploughed the land of his vibrant farm in North Eleuthera where he grew watermelon, pineapple, oranges, grapefruit, lettuce, tomatoes and cabbages. Bo Hengy’s gift as a craftsman was legendary. He pioneered the art of wire fish pot construction, by hand. Using a strong pair of pliers, 13-gauge wire for the body, and 11-gauage wire to strengthen the frame, he fashioned fish pots that were coveted by fishermen throughout The Bahamas. The design of Bo Hengy’s fish pots was such that fish found it very easy to enter to eat the bait but very difficult to leave. He passed on this skill to his sons, Mervin and Henry; and it still lives on today through his grandson, Oscar, and others who they taught. 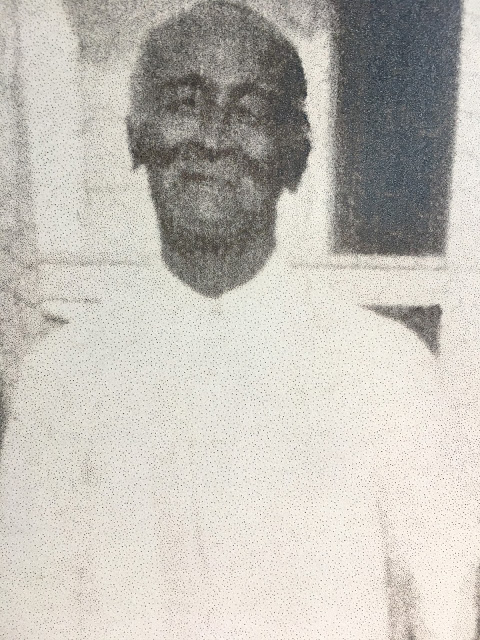 Bo Hengy was one of the early pioneers to spread the Seventh-day Adventist faith in Harbour Island and North Eleuthera. Everyone who knew him knew him to be a man of integrity. He made the full weight of his influence felt in spreading the faith. His faith in God was unshakable, immutable and as timeless as light. Of all the areas of endeavour in which he engaged himself, his witness for God was the one from which he derived the most pleasure. In his latter days, Bo Hengy slipped easily into the role of senior statesman. On any given day, he could be found down on Bay Street waterfront squatting in a small circle, whittling wood and sharing fellowship with the other leading men of the community. Walking past, one could hear their soft banter or their sometimes heated exchanges, each of which was intended to reach a shared goal of mutual enlightenment. Bo Hengy could be easily identified from among the group by his booming voice and by the stark contrast of his freshly pressed white suit against his charcoal black complexion. Bo Hengy was the quintessential Harbour Island statesman. Both the legend and the man peacefully coexisted. He exuded a friendly, proud and humble demeanor in the face of his many accomplishments. He and his wife, Eva, produced six children to carry on their line: Erskine (5 April 1883), Mervin (10 August 1888), Violet (5 August 1890), Oscar (6 April 1892), Lola (14 April 1896) and Henry II (28 February 1898). Today, the many descendants of Bo Hengy, down to the sixth generation, continue to follow his example by contributing fully to the growth and development of Harbour Island and The Bahamas. that the legend of Bo Hengy lives on, forever interwoven into the fabric of The Bahamas’ historical and cultural experience.